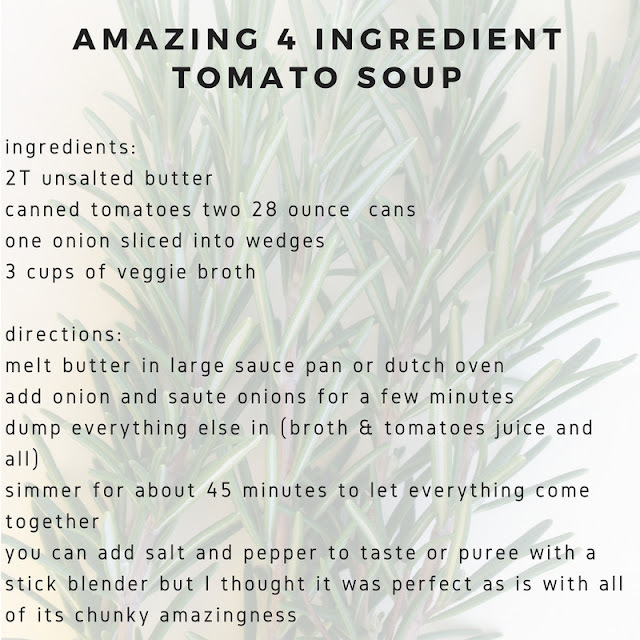 The most amazing & easiest homemade tomato soup ever! I will now tell you how to use any of that amazing leftover aged cheddar in the most amazing way. The two just go together. Like Tom & Jerry or Ponch & John or We Will Rock You & We Are The Champions - I should stop I am totally dating myself. 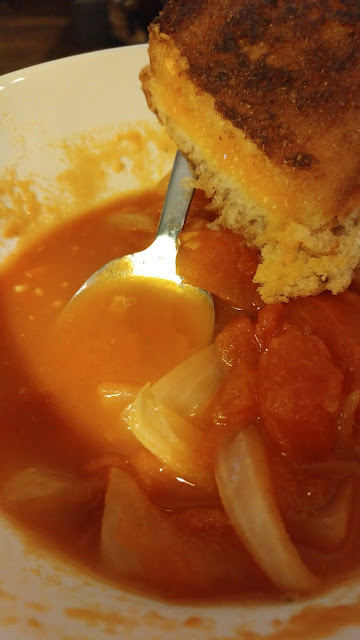 The cheese was in the house and I still had a few slices of that amazing country bread but I needed tomato soup and had none in the house. 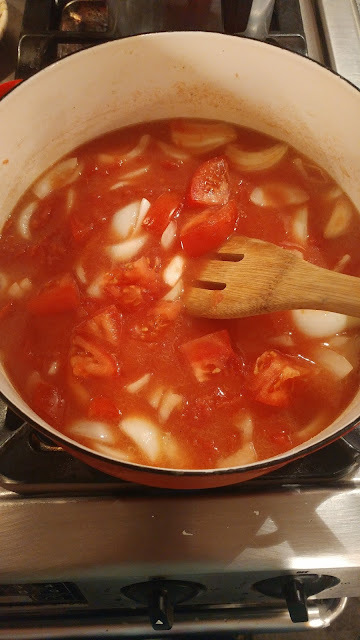 A few keystrokes and googles later I found inspired taste's recipe (THANK YOU) and it was on. I made a few modifications, but that's how I roll. The soup in progress...I served mine all chunky like this, but if that isn't your vibe blend away! Now go grill your cheese and serve it up like the power couple it is. This is a great base and the possibilities are endless. 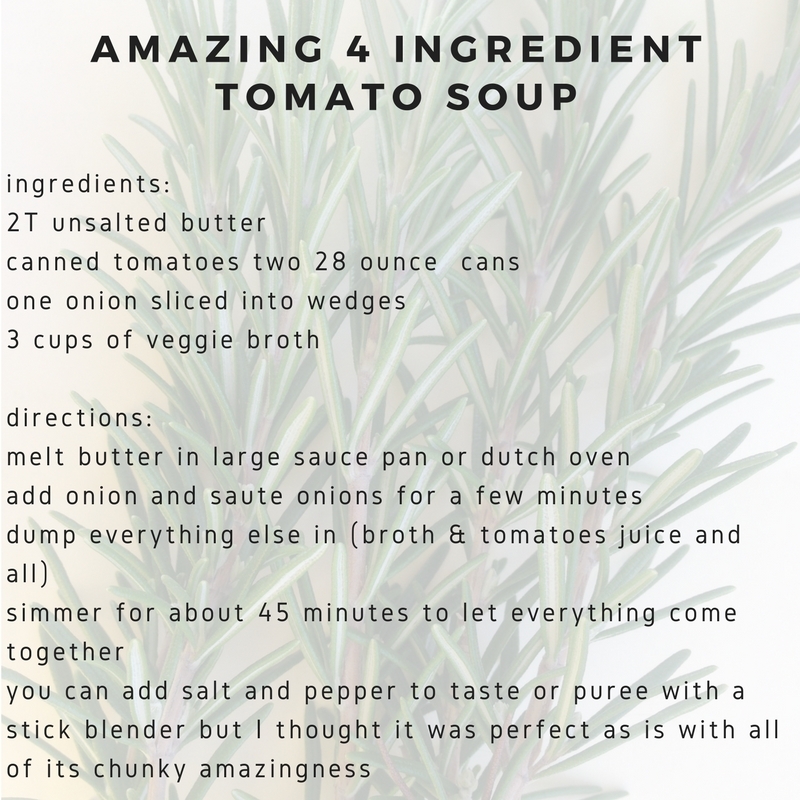 If you whip this up share a picture with me and show me how you create amazingness!